If you’re a cool and unique person, then you need a set of chess pieces that matches your personality! Here are our top picks for 2019. 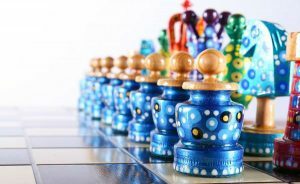 A major hallmark of unique chess pieces is their willingness to incorporate bold colors into each piece. Wave goodbye to boring black and white, because buying a set of cool chess pieces means opening your options up to the full rainbow. What comes to your mind when you picture a set of chess pieces? Probably the same old, traditional style of pieces that everyone and their grandma has, right? It doesn’t have to be that way! 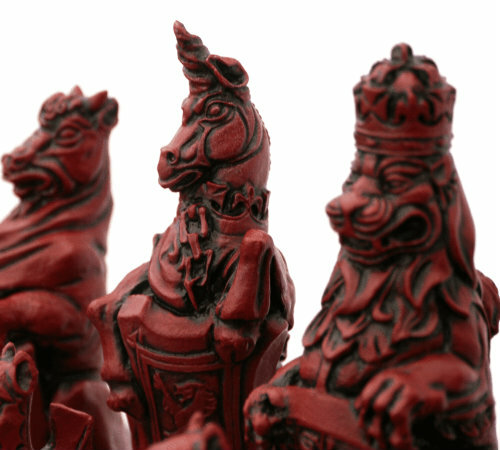 Custom chess pieces can be modelled after anything under the sun. 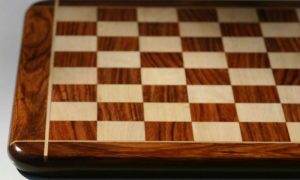 Whatever you can imagine, you can make into a custom chess pieces set, and believe us, someone out there has already done it. The Royal Beasts Chess Pieces by Berkeley are modelled after beasts that may have been found in a historic royal menagerie. 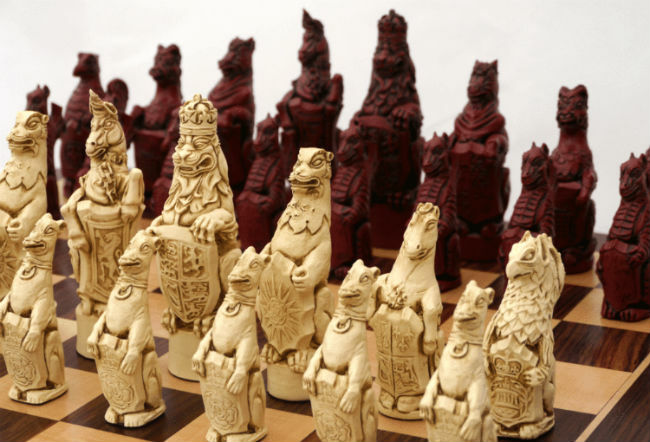 They are sculpted in a vintage style, making them a highly unique chess pieces. 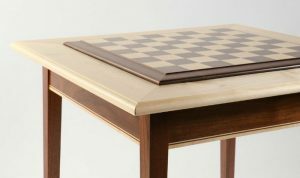 These one of a kind chess pieces can elevate even the most plain and simple chess board to instant cool. 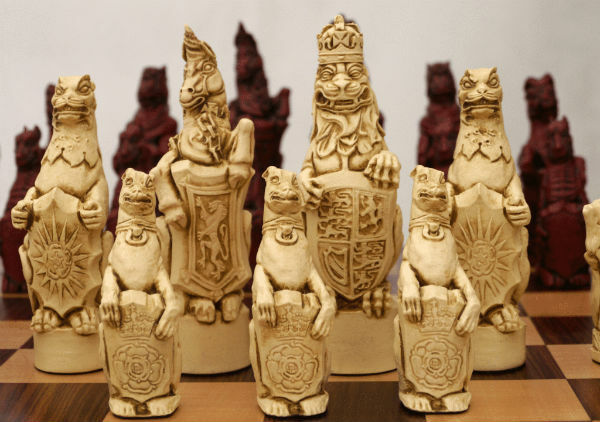 Each of The Royal Beasts Chess Pieces in this cool set is modelled after one of the 10 heraldic beasts of Hampton Court Palace. The originals were made over 400 years ago to decorate the Hampton Court garden of King Henry VIII, and recreations of those beasts are still present there today. Each beast comes with its own meaning. The lion represents the crowned monarch of England, the unicorn represents purity and innocence, and the dragon represents the country of Wales as well as a general sense of strength and bravery. Many of the other pieces have their own meanings, but they are primarily regarded as supporters of the Crown. If you’re after an awesome chess pieces set, it doesn’t get much more unique than this. This set is sure to spark conversations and generate questions whenever your guests see it, so if you don’t mind going into a brief little history lesson every time a new friend comes over, these cool chess pieces could be the choice for you! The Picodragon chess by Grace Collection is the embodiment of cool. These chess pieces are cute, colorful, and totally unique. It takes the concept of the traditional chess pieces set and deliberately turns it on its head by incorporating the Staunton pattern chess pieces as perches for cute and colorful little dragons! These Cool Picodragon Chess Pieces are eye catching and totally cool while still maintaining a sense of familiarity for those who are more comfortable playing with a traditional set of chess pieces. You are bound to get tons of compliments on these awesome chess pieces, but no one should turn down a game because they’re afraid they won’t be able to tell which piece is which! The creator of these unique chess pieces, Grace, is a sculptor and dragon lover who started sculpting her first dragons at just 13 years old. Her skills have come a long way since then, and she recently combined her love of dragons with her love of chess to make these custom chess pieces that have become a huge underground sensation. Each piece is lovingly handmade by Grace herself, so you’ll definitely want to get in on the ground floor of this one and order your cool, custom dragon chess pieces before the rest of the world discovers these and demand goes crazy! Cool chess pieces can be hard to come by, especially when chess itself is thought of as a somewhat nerdy and cerebral game. 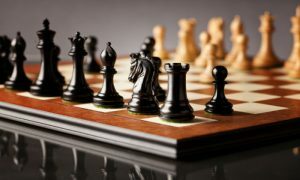 Most people don’t ever think of the word “cool” when they’re thinking about chess pieces, but the sets on this list may just get them to change their minds! There is a whole world out there filled with cool, unique, custom, and one of a kind chess pieces that most people never scratch the surface of. 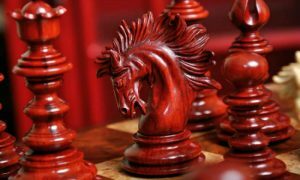 Sure, they can be a bit harder to find and more expensive than similar sets in a more traditional style, but custom chess pieces are crafted with care and attention by their creators that is unmatched by even the most attentive mass producers. You really do get what you pay for in terms of quality when it comes to unique chess pieces – at least the ones on this list. There is a whole world out there filled with unique, custom, and one of a kind chess pieces. See for yourself! 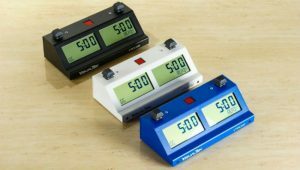 One issue that some people have when buying unique chess pieces is that, because so few people are buying them, they don’t have a lot of reviews or word of mouth knowledge to fall back on. It can be difficult to know if you’re buying a high quality, lovingly crafted set, or something that someone just threw together to make a quick buck. 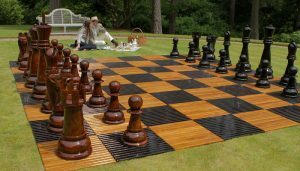 That’s why we’ve sorted the wheat from the chaff to bring you this list of the best cool chess pieces, so that you can buy with confidence.